Over the last couple of months I've been making a conscious effort to not only up my make-up brush collection, but up it with great quality brushes. So, of course, Real Techniques brushes have become a massive part of my collection! I've been looking for a new bronzing brush for a while as the one I was using wasn't technically an official bronzing brush. 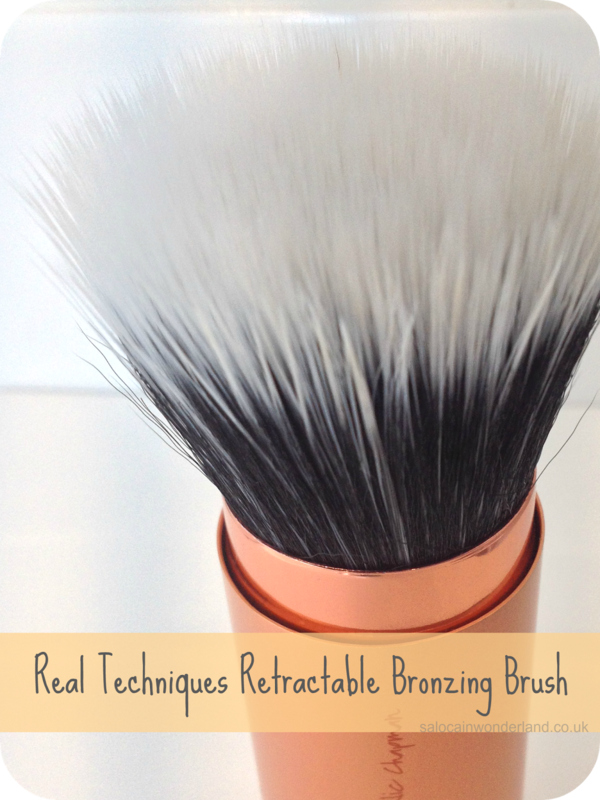 When Real techniques brought out their Retractable Bronzing Brush I just knew it would end up in my collection someday - like most of their brushes have! Insert the Boots 3 for 2 beauty event and I didn't really have an excuse not to buy it! The brush is gorgeous. Due fiber, ultra plush bristles - this brush is super soft! It feels so nice on the skin and here has been zero bristle fall out - sometimes I get this with new brushes but so far, each one seems to be well intact. I also love the black/white contrast to the bristles - it makes cleaning them so much easier because I can see the difference in the colour of the white bristles so I know my brush is squeaky clean! This is the first retractable brush in my collection and I love the retractable inner tube that comes up to protect the bristles. It's also great for keeping them in shape and clean after I've tossed it into my make-up bag! It can be used for finishing powder too, so the lid makes it great for on-the-go application. I don't know about you but I don't tend to re-apply bronzer throughout the day, but I do re-apply my finishing powder to combat shine a fair bit! 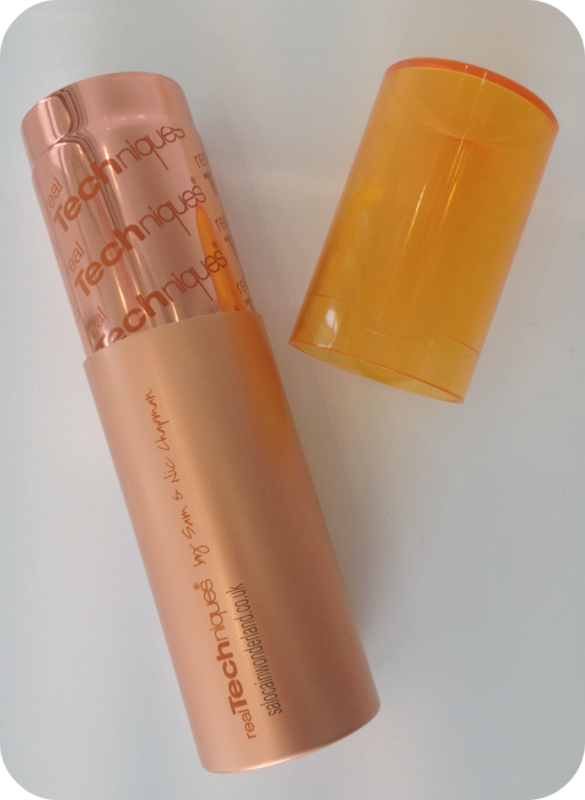 As for bronzer application, I've mostly used this with Bare Minerals - warmth, a super high pigmented bronzer. 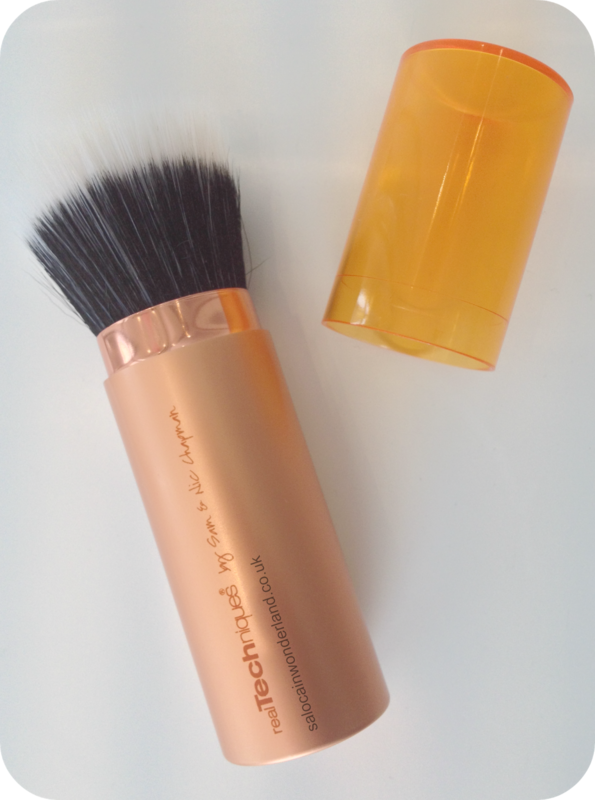 A little has always gone a long way with this particular bronzer but with this brush, even a little can be too much! 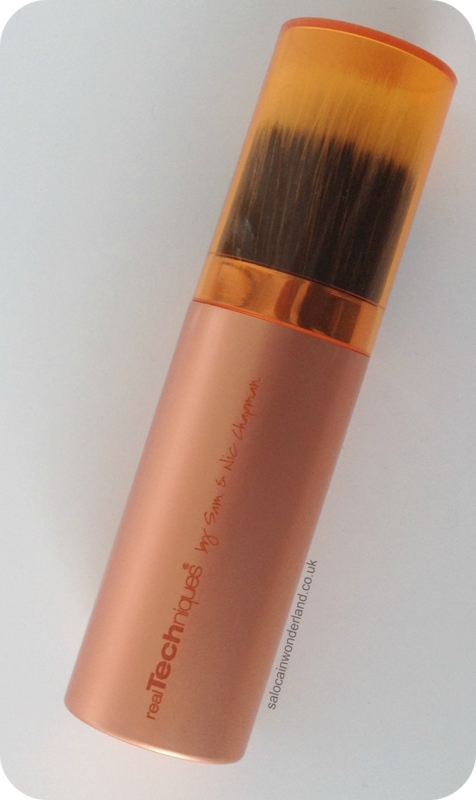 A light hand is essential unless you really love a very bronze look! I also find that I need to do a little extra blending after using this brush as it can go on a little heavy at the point where it first makes contact with the skin! Real Techniques have done it again, creating a wonderful brush! Their brushes really are worth all the hype if you ask me! I've now got my eye on the silicone eye liner brush! What Real Techniques are in your collection? I don't have any real techniques brushes, but do use Bare Minerals Warmth, it is very bronze!! The brush looks fab! Isn't it like the most bronze bronzer ever? (Say that 3 times fast!) I have to be so cautious using it otherwise my face looks unrealistically and totally over tanned! I really should look for something a little less strong! Boots 3 for 2 events are the best! I have a post coming up tomorrow with things I got from boots yesterday, haha. I feel like I'm living in Boots at the minute with all the 3 for 2 offers they've had on! 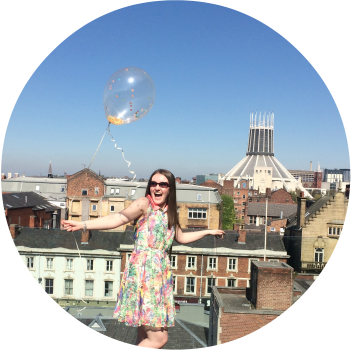 My ban balance isn't exactly thanking me for it either eek! Better get the overtime in! This looks like a lovely brush, although I don't very often travel with my brushes or need to carry them in my handbag, so I'm not sure if I'd use this to its best ability. Can you believe that I don't own any RT brushes?! I have a few of the dupes from eBay though which I believe are just as good. I've heard good things about the dups but I find the real ones are so well priced I haven't got an issue with buying those. Especially when they're included in an offer like Boots' 3 for 2! I thinking this brush will come in super hand when I'm travelling over Summer, though it's a bit bigger than what I'd normally travel with so who knows! I do love it for finishing powder though!